whose style harkens Levon Helm, Steve Jordan and Steve Ferrone. "Geoff really listens to the song and is sensitive to the dynamics and nuances that it requires at any given moment." 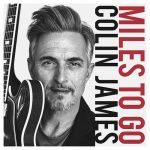 Colin James’ Miles to Go awarded JUNO for Best Blues Album. I’m glad you stopped by – there’s lots to hear and see here. On this site you’ll find out what I’ve been up to and the great projects that I’m working on. But, if you can’t find what you’re looking for please drop me a line. For me, helping to bring a songwriter’s vision to life and honouring their intent is paramount. Music is all about joy, freeing one’s self, and hopefully taking pleasure in moving in ways we often don’t. As a freelance drummer, I record original music with an eclectic variety of artists representing many genres including rock, blues, folk, country, pop, funk + soul. I also have a rich touring schedule, and am grateful for the opportunity to play live music that encompasses an even broader range of musical styles. Recording, in studio or remotely, and playing gigs is where you’ll find me most of the time. It’s what I live for. © 2019 GEOFF HICKS · Built by A & C.